There’s dirty energy like gas and coal in the air all around us. It causes global warming. Why not use clean energy like solar and wind power? Children can teach their community about using clean energy. Ugh! There are examples of dirty energy all around us. Gas and diesel used by trucks, cars, and airplanes. Gas and coal used to heat our homes and factories. Dirty energy is fossil fuel energy and we don’t have to use it. There are other forms of energy called clean energy. Solar power comes from the sun; wind power comes from putting our blowing air to good use; wave power from our oceans. Your carbon footprint is the amount of fossil fuels (gas, oil, coal) that you use (burn) every year. 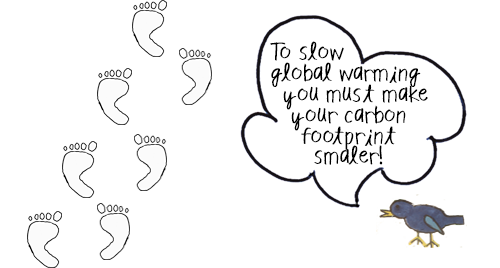 Footprints in snow, mud or sand can be seen but a carbon footprint shows up in the air so you can’t see it. What creates a carbon footprint? Carbon footprints are created when we burn gas, oil or coal. We use such fossil fuels when we drive cars or we heat or cool houses. We use this dirty energy even to make paper plates, plastic forks, and throw-away water bottles. We use it when we leave lights on or make a hamburger. Calculate your carbon footprint by clicking here. Next, learn how to make your carbon footprint smaller by using clean energy! Clean energy comes from power sources like energy from sun, wind, and waves. This kind of energy will never run out and will create very little pollution. When we use these sources of energy, we won’t have to burn fossil fuels. This means less global warming! It’s hard for kids to use clean energy if their parents or communities don’t have that kind of energy available. However, kids can explain the importance of clean energy to adults. 1. Go to city council meetings to ask if solar or wind farms can be built in your community. 2. Write letters to energy companies asking for more wind and solar farms. 3. 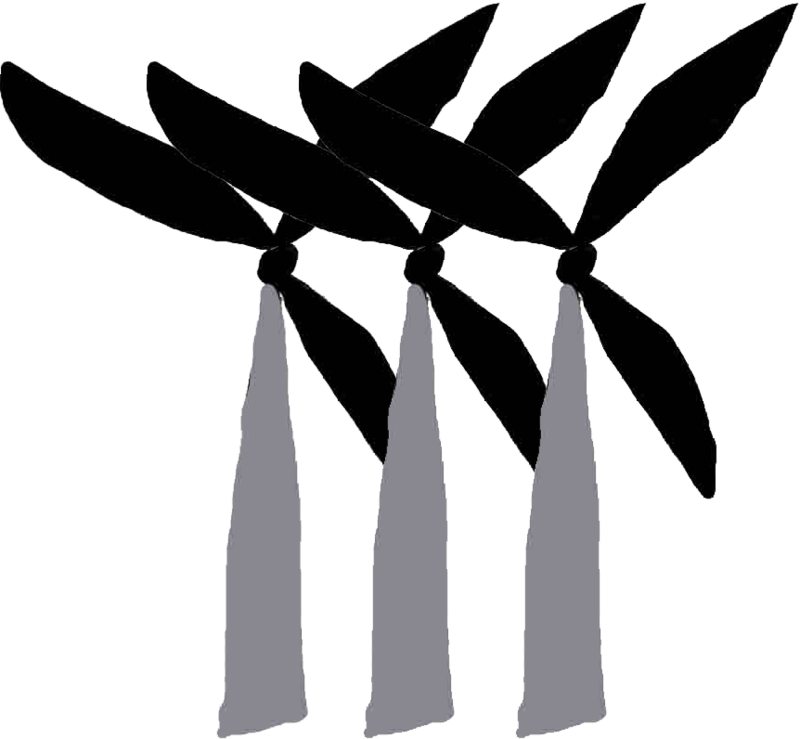 Ask adults to vote for governmental leaders who support clean energy. There are more things kids like you can do! You can use less energy by turning off lights, biking instead of riding in a car, helping put air in your car tires, wearing warm clothes allowing your home and school temperatures to be lower. You can start a “No Idling Campaign” and learn all you can about Climate Change.